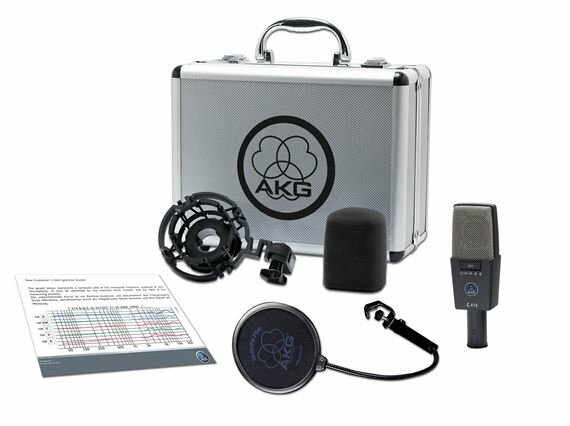 Shop AKG C414XLS Reference Multi Pattern Large Diaphragm Condenser Mic from AMS with 0% Interest Payment Plans and Free Shipping. AKG C414 Has Been a Legend Since 1971, Now AKG Brings You the C414 XLS! The C414 microphone from AKG has long been held with legendary regard. Found in most recording studios, the C414 has been used on thousands of hit records, on stage with artists of every musical genre and is also used by leading broadcast facilities the world over. AKG's C414 XLS is here to continue that grand tradition and is up to the challenge of maintaining the C414's place in the music industry. The AKG C414 XLS offers nine pickup patterns which enable you to choose the perfect setting for every application. For live-sound applications and permanent installations all controls can be disabled easily for trouble-free use. A Peak Hold LED displays even shortest overload peaks. The C414 XLS differs from the XLII version in one major respect - the capsule. The C414 XLS and C414 XLII offer nine pickup patterns which enable to choose the perfect setting for every application. For live-sound applications and permanent installations all controls can be disabled easily for trouble-free use. A Peak Hold LED displays even shortest overload peaks. 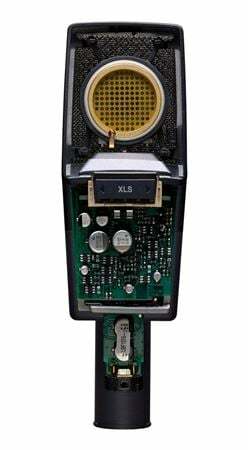 The C414 XLS maintains the sonic character of the legendary C414 B-ULS, the longest-lived C414 model. Engineered for highest linearity and neutral sound, it is the most universal and versatile large diaphragm microphone for decades. Widely used for accurate, beautifully detailed pickup of any acoustic instrument the new C414 XLS combines proven reference quality, leading-edge technology and state-of-the-art components. For over 60 years, leading musicians and engineers have used legendary AKG microphones to capture their sound so their audience hears every nuance. The C414 family has been one of the world’s most widely-used and respected studio and stage microphones in audio history. AKG has continually set new benchmarks for useful features, improved technical specifications and ease of use to answer requests from ever-demanding recording studios, broadcast stations and audio engineers. easy to use. Just Plug and Play, Unless you are using a preamp with EQs and compressor and so on. This Mic is very quiet. doesn't pic up nose floor like my other mics. The fact I can roll off up 160Hz is a big plus.